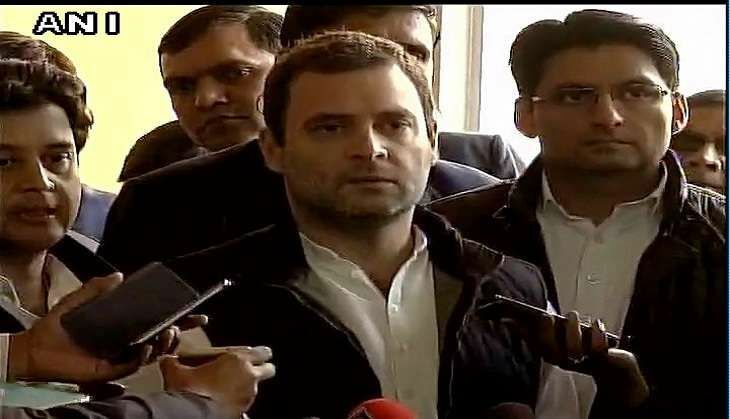 On 16 December, Congress vice president Rahul Gandhi led a delegation of senior Congress leaders and met with Prime Minister Narendra Modi, and handed him a memorandum on farmer issues. Along with a list of problems faced by the farmer community post demonetisation, the memorandum also laid down farmers' demands, including loan waiver schemes. The delegation comprised Punjab Congress chief Captain Amarinder Singh, Leader of the Opposition in the Rajya Sabha Ghulam Nabi Azad, party's leader in the Lok Sabha Mallikarjun Kharge, and other senior MPs. "Farmers are committing suicide all over the country, govt removed import duty on wheat - this is a devastating blow," Gandhi said, also highlighting the government's decision to scrap import duty on wheat, and how it would adversely affect farmers. "We met PM on problems faced by farmers, loans, suicides and minimum support price issue. PM has promised to look into the matter," Amarinder Singh was quoted to have said in an Indian Express report. The leaders of 14 Opposition parties, including Trinamool Congress and the Left, are scheduled to meet with President Pranab Mukherjee on 17 December to voice their grievances over demonetisation and the almost-washout of the Winter Session of Parliament.